Professional services company Accenture will open a digital hub in District 2020, the legacy site of Expo 2020 Dubai, to help clients across a variety of industries develop innovative digital solutions. It signals Accenture’s support of the UAE government’s initiative to accelerate economic and social development through the World Expo and its legacy. It is the second global company this year to announce plans to establish a base in District 2020. In July, Accenture was selected as the Digital Services Premier Partner and Systems Integrator for Expo 2020 and will work in collaboration with Etisalat Digital, a business unit of the international telecoms and technology service provider Etisalat, Expo’s Premier Telecommunications and Digital Services Partner. 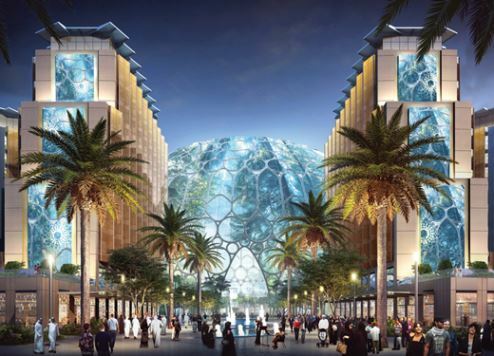 District 2020, which will be launched in 2021, will be a long-term economic contributor for the UAE as a home for innovators, original thinkers and pioneers, creating jobs and attracting investment, according to Dubai Expo 2020 Bureau. The decision by Accenture to open its digital hub at District 2020 following Expo 2020 has been welcomed by Marjan Faraidooni, senior vice president of Legacy Development and Impact at Expo 2020 Dubai. “As a Premier Partner of Expo 2020, Accenture is already playing an important role in making the first World Expo in the region a can’t-miss experience for millions,” she said. Accenture will harness the physical infrastructure at District 2020, which will connect residents and visitors to the rest of the world – both digitally and via impressive transport links.